Address: 221 W Wright Ave. The name of this theatre was not the Shepherd Theatre, it was the Laurel Theatre. 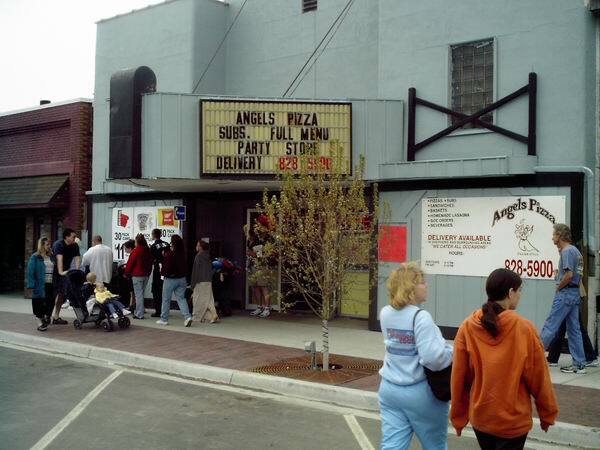 The theatre has been a pizza place for alot of years now, My grandpa once worked projection their when he was young, I would have more info but he has it all in his head from the time it opened at closed. The projectors are still their and I hope to eventually get a chance to go and get a pic of that to, just have the find the time.